Blacked-out from end to end, the 2016 Indian® Chief Dark Horse® delivers pure, premium Indian Motorcycle performance. INDIAN MOTORCYCLE® BADGING The fuel tank features distinctive monochrome Warbonnet graphics seen only on the Indian® Chief Dark Horse®. 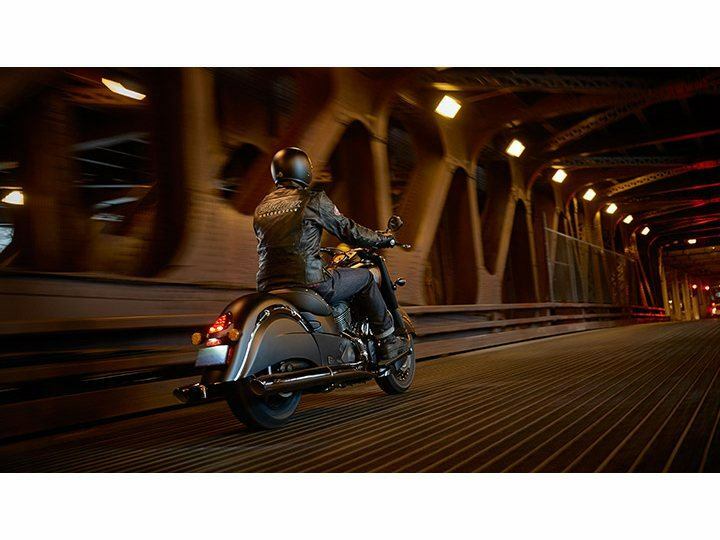 VALENCED FENDERS Stylish, elegant and functional, the iconic valenced fenders, standard since 1940, enhance the flowing styling lines of every Indian® motorcycle. They also provide protection, effectively blocking road spray and gravel kicked up by the tires. 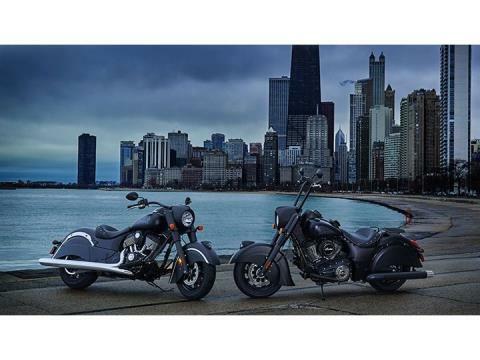 BRAKE CALIPER COVERS Every Indian® motorcycle is equipped with outstanding brakes, and in keeping with our traditional styling, we choose to cover the calipers. 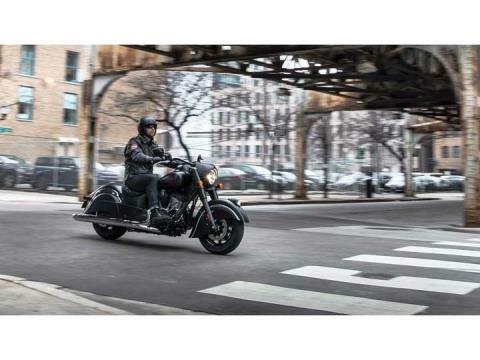 The result is a clean, stylish, beautifully finished sheet metal - iconic Indian® motorcycle valenced fenders. 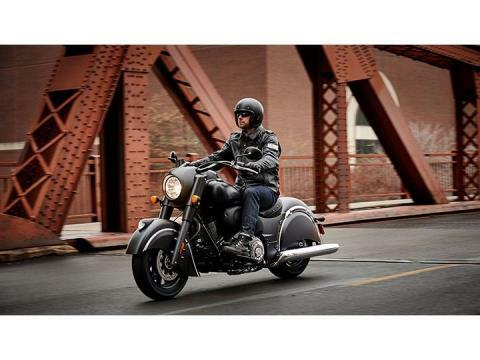 UNPOLISHED STYLE The 2016 Indian Chief Dark Horse maintains the legendary Indian Chief styling, while taking an unpolished and raw approach to its finish with blacked-out styling. PERFORMANCE Boost the performance of your Indian® motorcycle, create more legroom on the left side of the engine, and enhance the style of the Thunder Stroke® 111 V-Twin. The “Big Sucker” intake lets the engine “inhale” more freely for a slight performance gain, and it enhances throttle response. 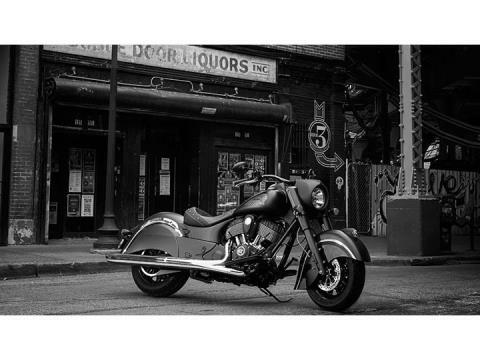 APE HANGER HANDLEBAR Elevate your style with 16" Ape Hanger Handlebars. These comfortably raise your riding position without stressing your arms. They also add style and a customized look to your bike. 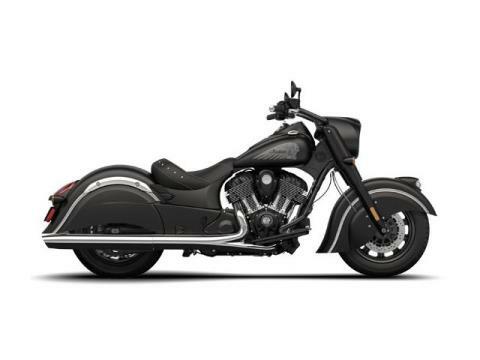 PINNACLE ONE-UP LUGGAGE RACK Add convenient cargo carrying space quickly and easily by installing this One-Up Luggage Rack. The Luggage Rack bolts directly onto the Indian® motorcycle in place of the passenger seat and provides a convenient place to securely attach cargo. 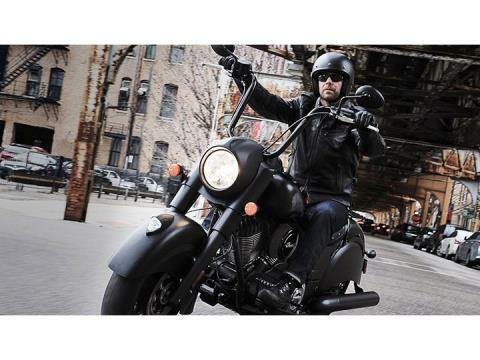 STYLE Transform the appearance of your motorcycle with blacked out fender trim. 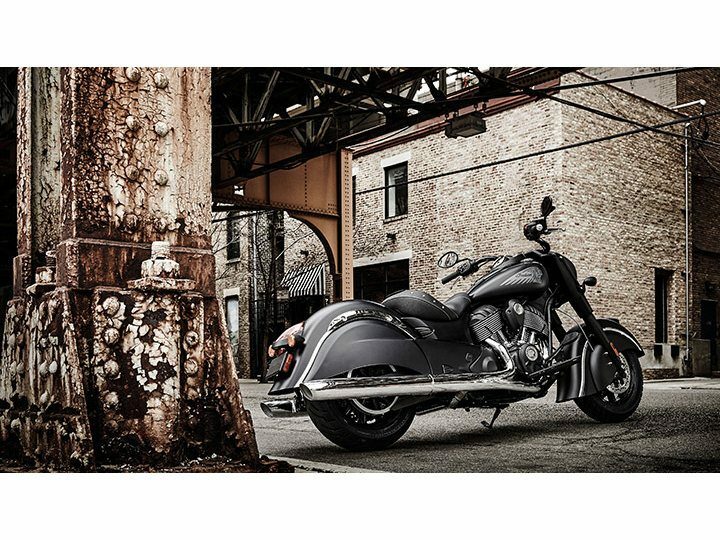 The easy-to-install gloss black parts add a darker style to your ride. 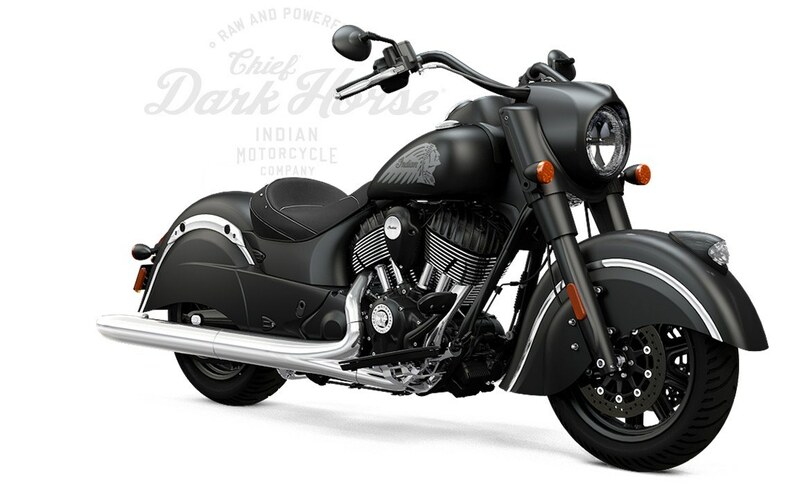 BLACKED-OUT STYLING It’s black from end to end, including the wheels, forks, handlebars, engine, bodywork – even the Warbonnet up front. THUNDER STROKE® 111 The proven, powerful Thunder Stroke® 111 engine serves up 119 ft-lbs of torque, and is finished primarily in black. KEYLESS IGNITION Enjoy keyless starting that’s secure and convenient. With the Indian® Chief Dark Horse® key fob in your pocket, climb on the bike, push a button and ride. If you misplace the fob, use the individual security code that you pre-programmed into the ignition. ABS & CRUISE CONTROL This advanced, automotive-quality braking lets you ride with confidence and helps you stop under control. Easy to set and adjust, the cruise control enhances your enjoyment during highway cruising. Rear - 16" X 5"